Five of my Faves, brought to you on the best day of the week, Friday. 1. Airborne Kids. I don't shop at GNC or Vitamin Shoppe or anything, but I diligently dose out our family's fair share of daily multivitamins. During cold and flu season, I will try just about anything to shorten or prevent colds. (For more on the Hell that is taking care of young children with colds, you can read this post). 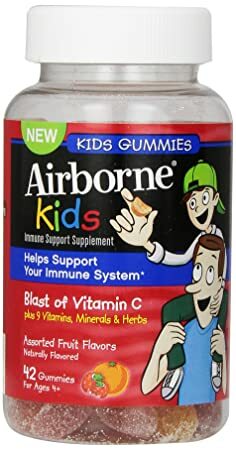 I found these new Airborne Kids supplements at Target. My 4 year old son calls them gumdrops and thinks he's getting a real treat when I give him one. Win-win. You better believe I will be stocking up for fall and winter. 2. Chalkboard Paint. This is everywhere right now, and I have eagerly jumped on the bandwagon. Maybe I'm even getting a little obsessed with this one (click here for my latest and greatest project), but chalkboard paint really is easy and fun to use. 3. Pioneer Photo Albums (because who has time to Scrapbook?). 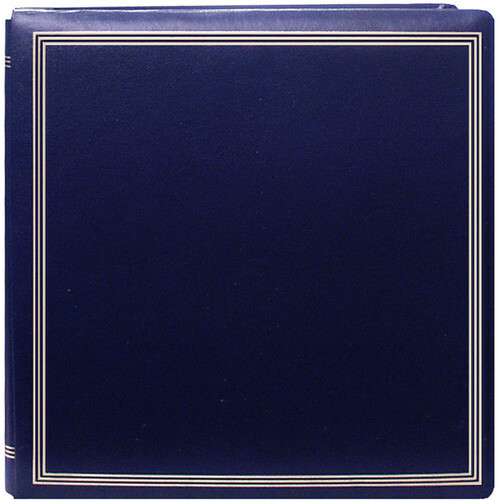 Remember the old-school photo albums that your parents used for family Polaroids and prints? Me too! You can still buy the Pioneer brand online. Photos stored on my computer just get lost in the shuffle, and while I love the idea of scrapbooks, I simply don't have the time and energy for them right now. I can usually manage to order prints from Snapfish and stuff them in these big, three-ring albums a few times a year. The results aren't perfect, but I try to remember the quote, "don't let the perfect be the enemy of the good." I love having so many albums that we can physically flip through! 4. 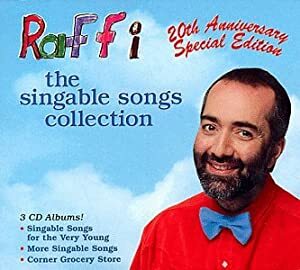 Raffi CD. Dear readers, this guy is magic. One or both of my kids usually decides to get fussy in the car at some point during the day, and Raffi's calming, cheerful voice-- think "Baby Beluga"-- has distracted them and therefore saved my sanity many, many times. 5. Twix Minis Ice Cream Bars. We all deserve to enjoy a treat now and then, right? I randomly saw these (and grabbed them off the shelf) a couple of weeks ago, and well, the box is just about empty. What are some of your new-found or trusty old favorites?